You speak of a seed and pesticide treadmill that farmers are on. Why is it worrying? It is right at the heart of the problem that farmers are facing. The problem became serious as hybrid cotton seeds spread. The seeds were pest-prone and they spread along with increased insecticide use. Both technologies have some inherent unreliability and both change quickly in India, and the problems in each technology exacerbate the problems in the other. It is important to note that while Bt technology did not originally cause the treadmill problem, it definitely has exacerbated it. 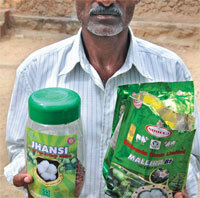 You also say Bt cotton is a craze with localised fads. What do you mean by this? Data show the 2005 Bt cotton craze fits into a strange and disquieting pattern of localised cotton fads. Farmer experimentation and evaluation play a much smaller role in seed choices than innovation-diffusion theorists and seed companies claim. Instead, seed fads result from agricultural deskilling, in which farmers fail to experiment and evaluate the seeds because of the unpredictability of key variables in cotton cultivation. At present, Warangal farmers have more to teach us about the social nature of decision-making in unpredictable and unstable environments than about the benefits of GM crops. Cotton scientists say that one of the problems is the indiscriminate release of seeds across the country, ignoring the need for specific hybrids for each agro-climatic zone. Seed companies and their scientists trash this idea, saying farmers are wise enough to know what is good for them. What has been your experience in Warangal? The seed company employee is in the business of selling seeds, and the companies have a long history of treating farmers like backward, tradition-bound idiots who need to be told how to farm, until the farmers buy their product. At this point they gush about the wisdom of the farmer. Let's not forget that the whole reason there is a market for Bt seeds is the agro-ecological debacle that resulted from farmers adopting another technology: insecticides. What I call the ‘skilling process’ breaks down when technology changes too fast and is too hard to assess. But technology has its own dynamic and is a continuous process, right? No one is against development of improved technologies in general. The seed-pesticide technology is a problem because it is deceptively labelled, rapidly changing and ecologically unstable. On the other hand, the Agriculture Research Station in Warangal does an expert job of developing new rice seeds. They release one every few years and make sure farmers know how it works. Thus, farmers are able to make informed decisions. What do you mean when you say ideas of indigenous knowledge of farming practices are being relentlessly manipulated? People and firms with a financial interest in agricultural technologies have a distinguished history of depicting farmer skill in ways that suit their interest. The general pattern is to depict farmers as hapless, tradition-bound dunces when they do not adopt the technologies the people and firms are making, and to depict them as wise when they do. Monsanto, having recently emerged as a major seed vendor, specifically equated lack of purchased seeds with general indigenous haplessness. It is interesting that when GM seeds were first being promoted for farmers in the global South, those with interests were sticking with this condescending view, implying an indigenous inability to learn to cultivate new kinds of seeds. The claim was made most prominently by the industry-supported African biotechnologist Florence Wambugu: The great potential of biotechnology to increase agriculture in Africa lies in its “packaged technology in the seed” which ensures technology benefits without changing local cultural practices (Nature 1999). It was then expanded and repeated widely. Biotechnologist Martina McGloughlin elaborated: For years people have tried to change cultural practices of these farmers, and it just has not worked. It has been a complete failure, because you have to modify infrastructure, you have to re-educate them as to how to modify their farming practices themselves. But with biotech, the technology is in a seed. All you have to do is give them the seed (Nova 2001). This was soon picked up by a range of allies, including industry scientists. 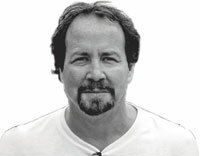 This narrative reached something of an apogee with academic biotechnologist Bruce Chassey: Genetic farming is the easiest way to cultivate crops. All that farmers have to do is to plant the seeds and water them regularly. The GM seeds are insect resistant, so there is no need to use huge amounts of pesticides (Thaindian News 2008). This statement, arguably the most idiotic thing written yet on biotechnology, was reprinted by industry-supported biotechnologist C S Prakash on the biotechnology propaganda website AgBioWorld in 2008. So when did this portrayal of the clueless farmer change? When Indian farmers adopted Bt cotton seeds, Monsanto replaced their image of the bumpkin farmer with a farmer who was a more astute observer of seed performance. The ever increasing Bollgard plantings demonstrate that the Indian farmer is willing to adopt a technology that delivers consistent benefits in terms of reduced pesticide use and increased income. Farmers recognise the value of Bollgard, which continues to gain acceptance (Monsanto spokesperson, 2005). This industry talking point is now being repeated widely by people with vested interests in GM seeds. It is a self-serving claim that is based on no research whatsoever. My long-term multi-village research in Andhra shows most Bt cotton plantings to be seeds the farmer is trying for the first time, and it shows a strong pattern of village-specific seed fad that reflects an extraordinarily high degree of emulation. How could farmers be making wise choices when the seeds, pesticides, and insect populations change so rapidly? Have you looked at the situation of farmers elsewhere to put your Warangal findings on cotton farmers in some context? A lot of work pertains to US farmers. But the deskilling is not as severe as with the Indian cotton farmers. I have also redefined what deskilling really means for a farmer. It is different from that of industrial deskilling in which skilled jobs disappear and you end up with less skilled, lower-paid workers who can't really use the skill and knowledge of their predecessors. The farmer still needs to be skilled on technologies—to figure out how they work and how to integrate them in the farm operation—but is unable to. The main cause of this is the overly rapid rate of technological change and a related problem of unrecognisable technologies. There is a fair amount of scientific research on this. Farmers are not omniscient; there are some things they can figure out better than other things. Are farmers on a faster technology-pesticides treadmill on account of GM technology? Of course. Farmers didn't really start adopting Bt cotton until around 2005, and within five years we have gone from one genetic construct to four. We have gone from terrible problems with American bollworm to greatly reduced problems with that pest but huge problems with aphids. Meanwhile, there are now hundreds of Bt hybrids available, and there is still a need for new pesticides.